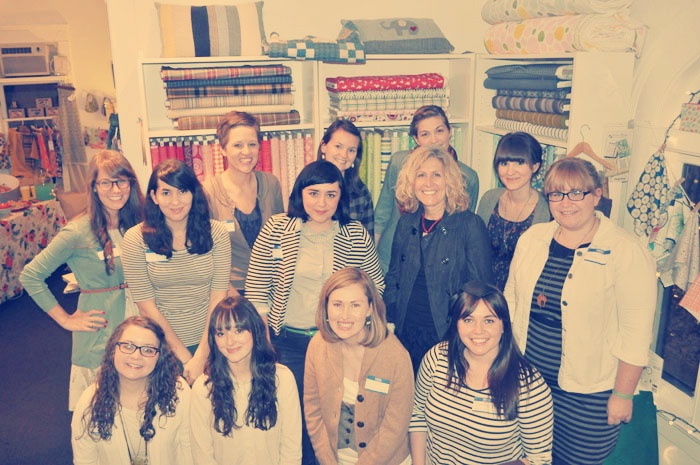 Last weekend, I hosted a Denver/Boulder blogger meet-up at Fabricate, an adorable fabric shop. here in Boulder. It was so great to connect with a dozen other craft, fashion, & lifestyle bloggers over cupcakes, izze, and a fun little craft. There's something to be said for being in an environment where you whip out your iphone to instagram your cupcake or bust out your fancy camera to get up close & personal on your craft -- and no one notices ;) We had some great chats about the highs & lows of blogging, running handmade shops, and gushed about our favorite bloggers. 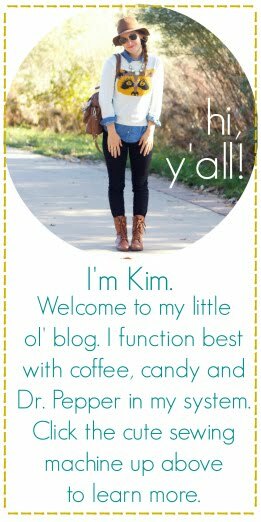 Would love to do this in the Knoxville/Nashville, TN area, but wouldn't know where to start in meeting other bloggers/crafters. Did you all know each other already? i knew a couple, had met a handful more of them at random handmade markets & such...the rest was just word of mouth! Bring it on for the southern tier of New York! :) Its something Ive always envied about California blogger gals-there are so many and therefore, so many meetups and events. Id love something like this. That's awesome! Would love to do something like that up my way but I'm not sure how to find them. If you know of anyone else in CT, please send them my way! I really hope you do this again sometime! 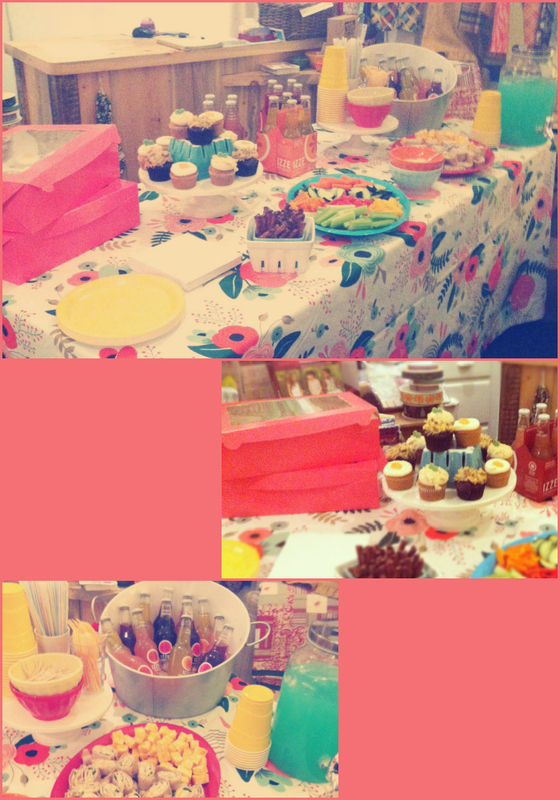 I wanted to come but had my kids' birthday party at the same time (priorities, priorities!!!). Would've been SO FUN! I met up with some Denver bloggers a few years ago and several of them have become dear friends. 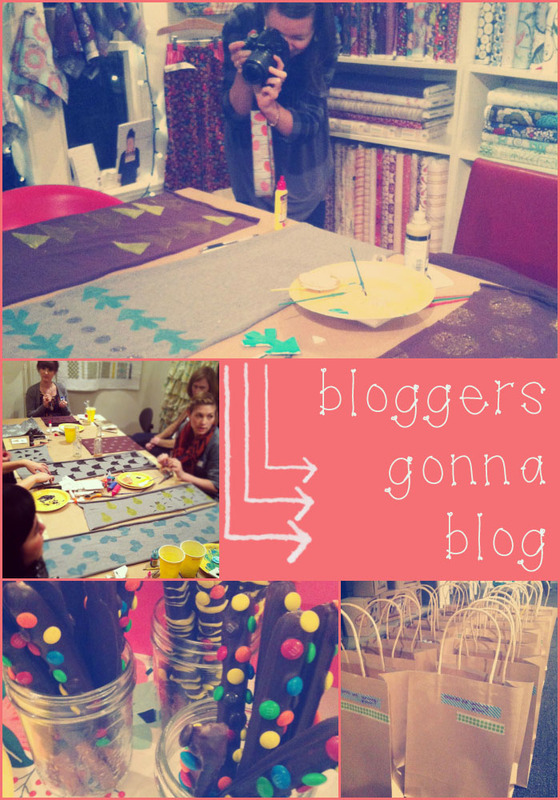 Bloggers get each other, you know?! I'm in Erie and LOVE Fabricate, so I was bummed. Next time!